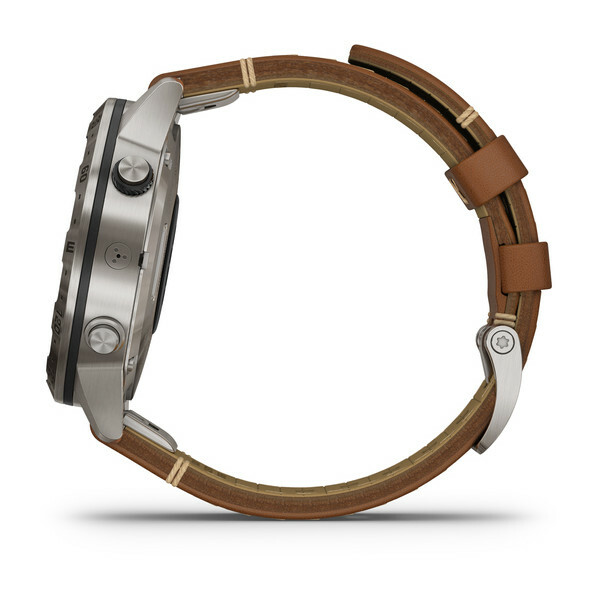 Estimated availability is 3 – 5 weeks. Know no bounds. 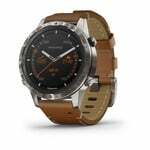 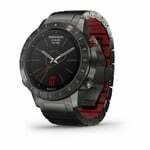 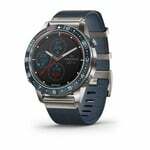 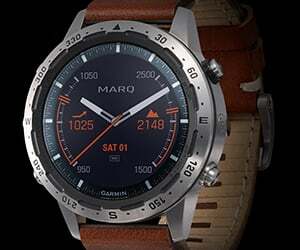 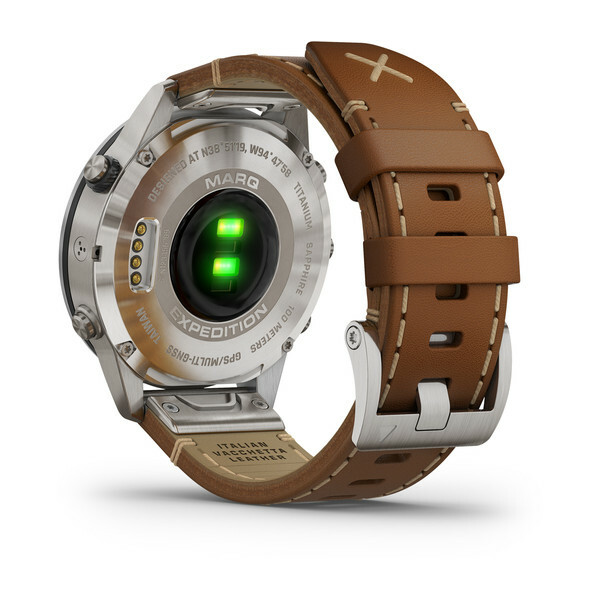 MARQ Expedition is the luxury modern tool watch that compels you to push higher. So you can stand on top of the world with an extraordinary instrument, crafted to explore it. An altimeter scale shows altitude gained and lost, while a barometer with trend line warns of changing weather. 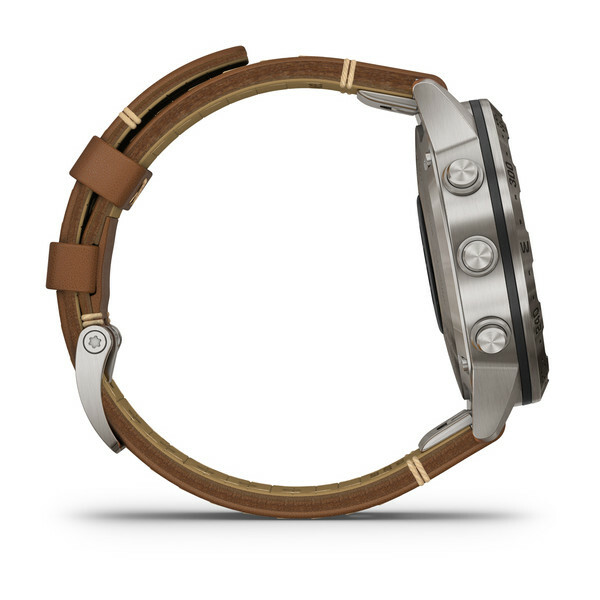 Elevate your style — while ensuring an exceptional fit —with the Italian vacchetta leather strap. 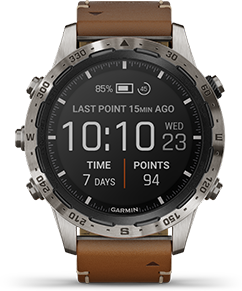 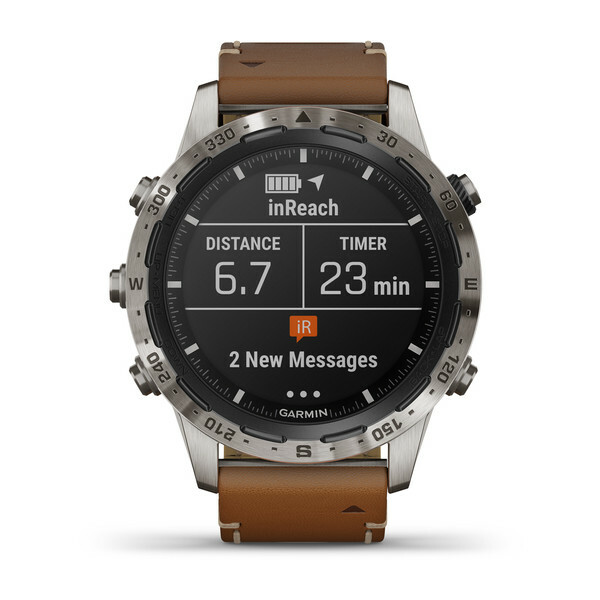 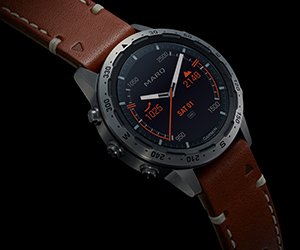 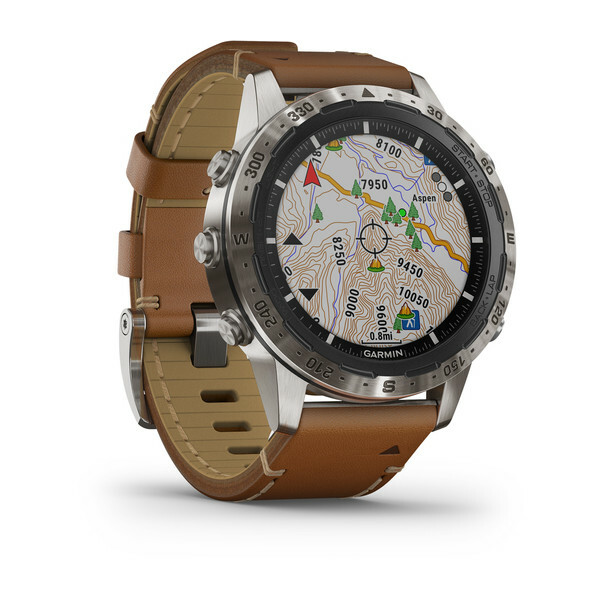 Use the etched 360˚ compass bezel and orienteering feature to navigate with a classic compass overlaid on a map. Save battery power with the expedition app so you can extend your travels into the backcountry by weeks. 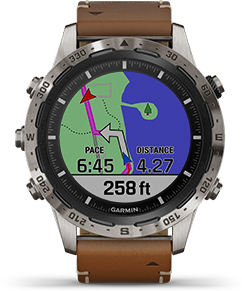 See topographical maps with Trendline™ popularity routing to discover new places to explore. Check with Pulse Ox¹ to gain awareness of how well your body’s oxygen levels are adjusting to the thinner air at higher altitudes. 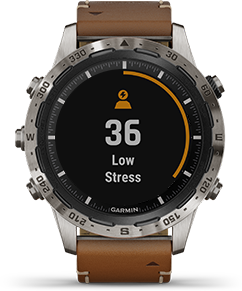 Monitor your heart rate² at the wrist as well as your heart rate variability to calculate your stress score. 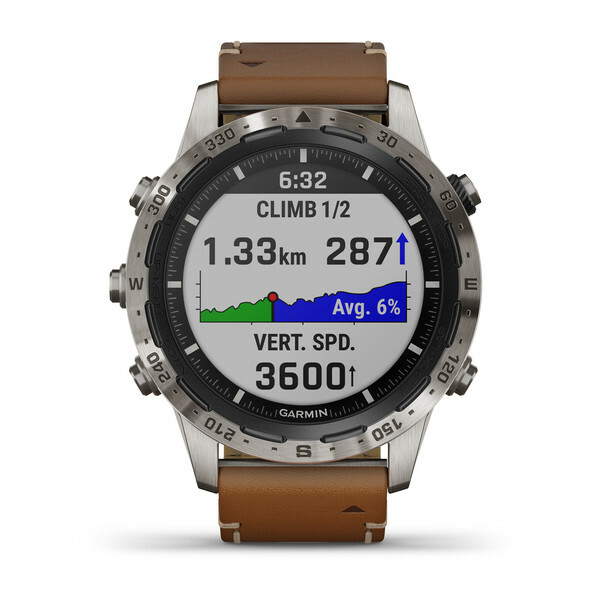 Preloaded favorite apps and preloaded activity profiles are provided for golfing, swimming, running, biking, hiking, rowing, skiing and more. View run names and difficult ratings for 2,000 worldwide ski resorts to challenge yourself — and find your way back to the lodge. 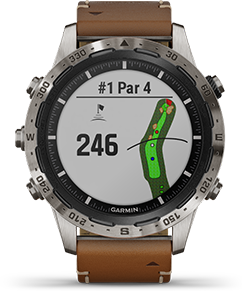 Access full-color CourseView maps for more than 41,000 golf courses around the world, and get button targeting and the PlaysLike Distance feature. 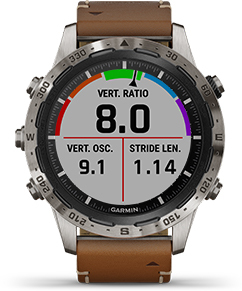 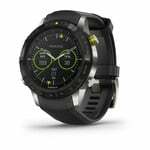 Download custom watch faces, add data fields and get apps and widgets from the Connect IQ Store.